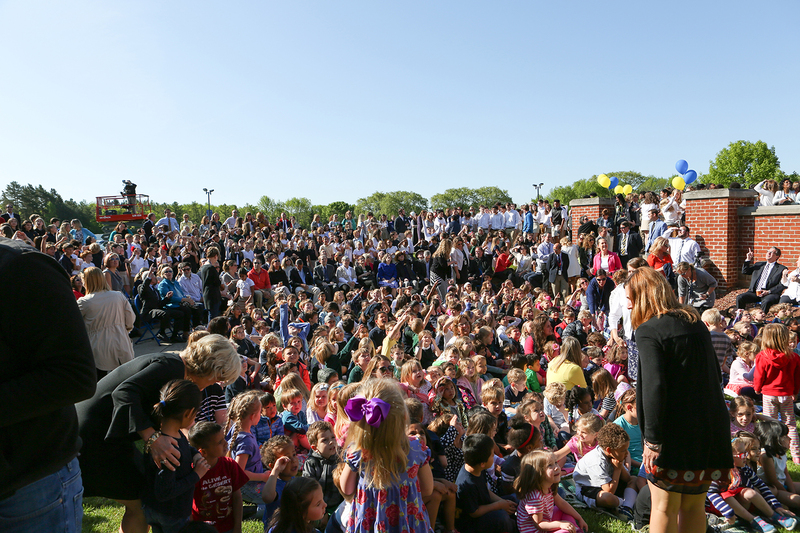 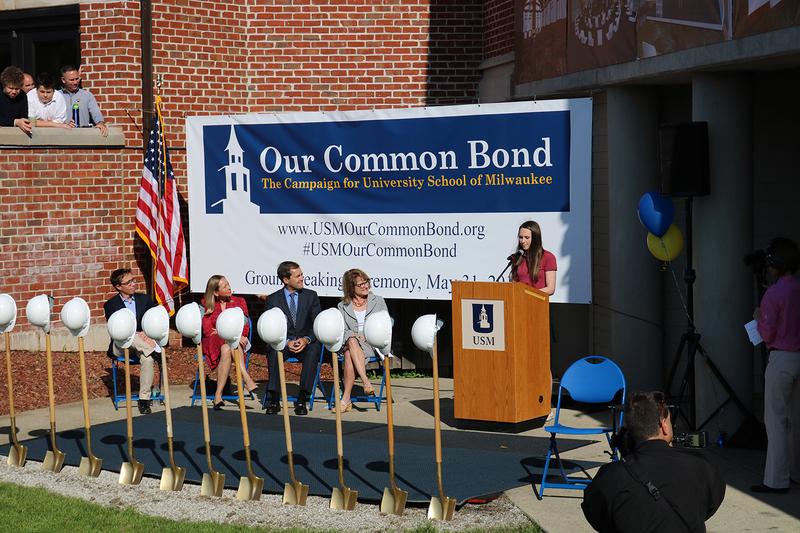 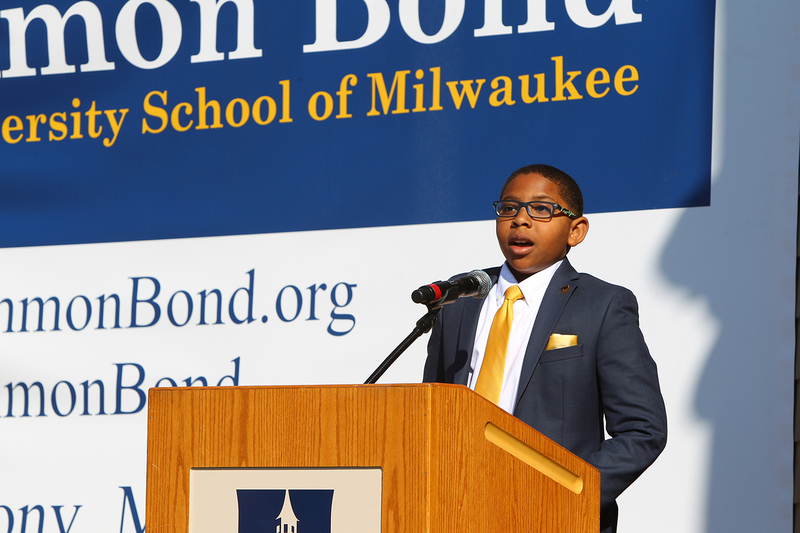 The University School of Milwaukee community gathered for a groundbreaking ceremony on May 31, 2017, to kick off construction projects related to the School’s $27 million Our Common Bond campaign. 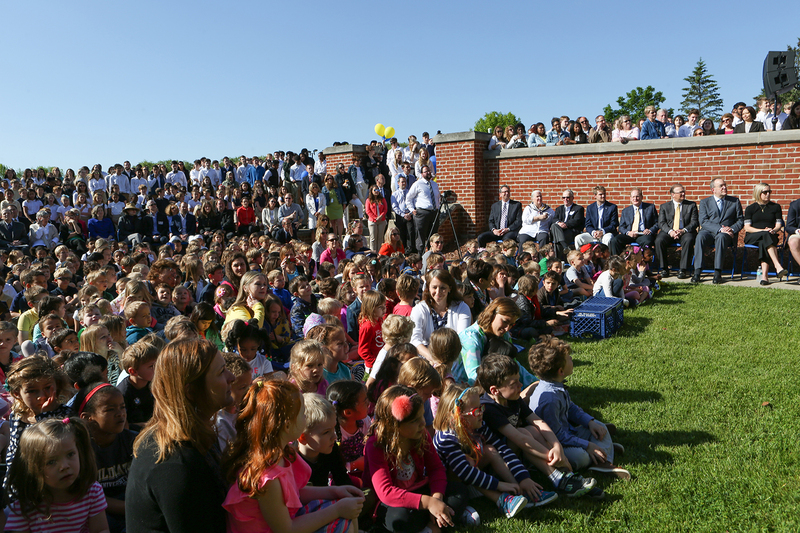 The contributions to the comprehensive campaign from members of the School community will support capital projects, increase the School’s endowment, and expand the USM Fund, the School’s annual giving program. 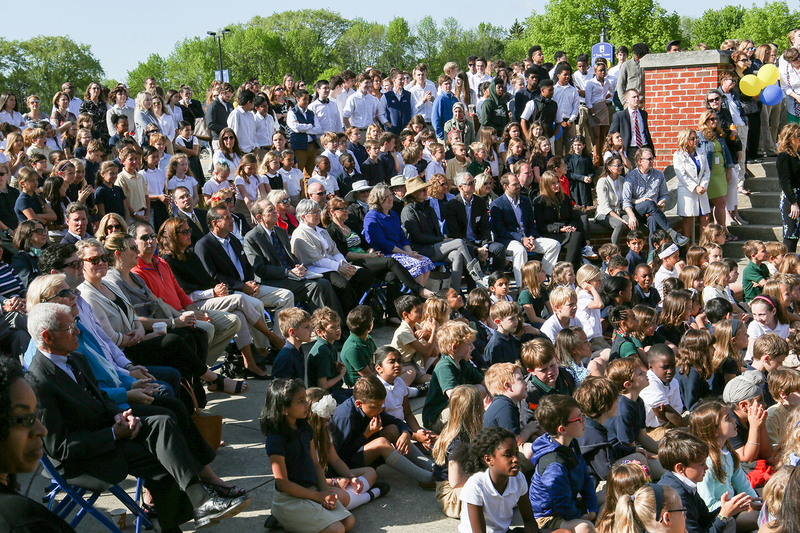 Click here to view a recap video of the groundbreaking. 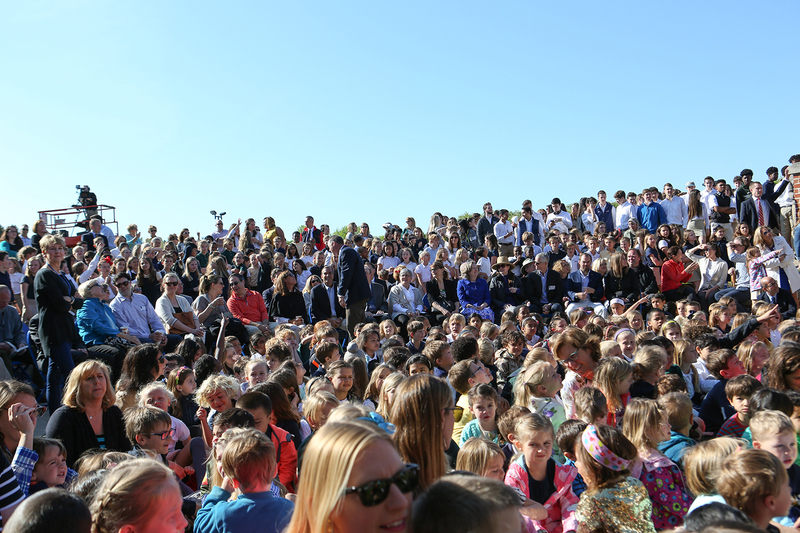 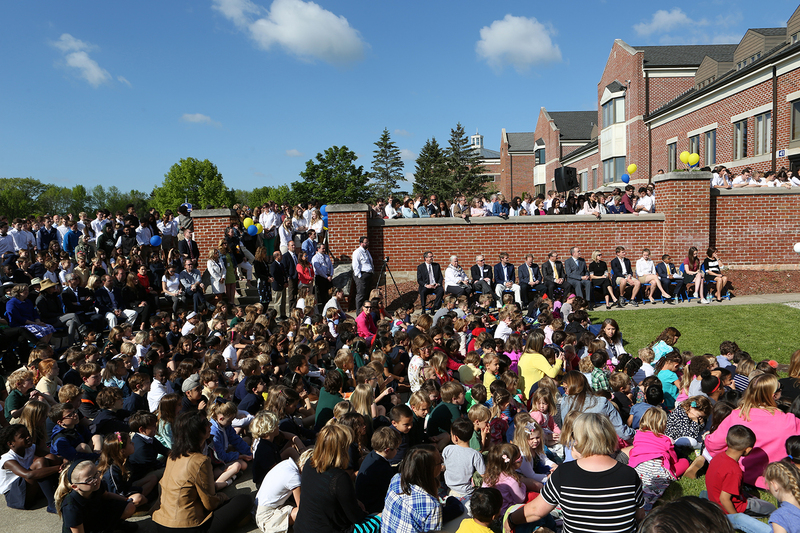 Under a bright blue sky, more than 1,200 students, parents, alumni, faculty, staff, members of the Board of Trustees, and other distinguished guests gathered together on the future site of the Jack Olson ’67 Commons. 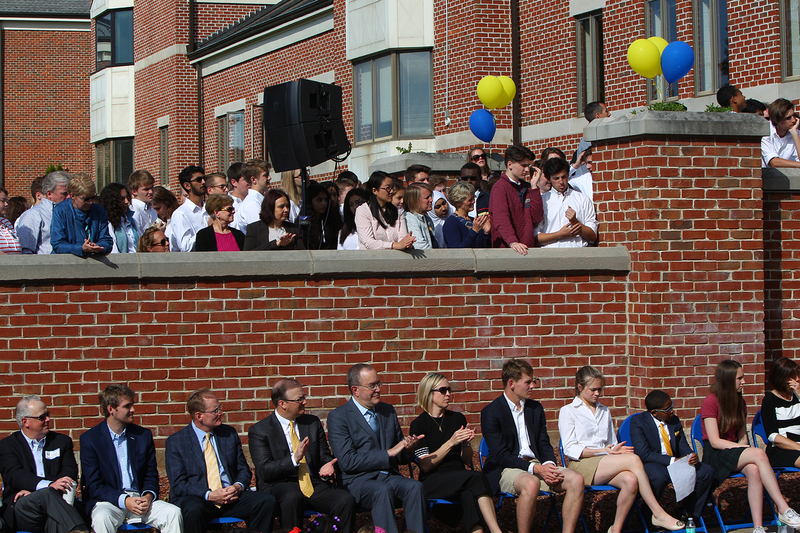 Head of School Laura Fuller invited the longest-tenured faculty member, Head of Middle School Pamela Nosbusch, to introduce Gabby Musickant ’18—who sang the national anthem—along with students from each division who spoke on behalf of each of the capital projects. 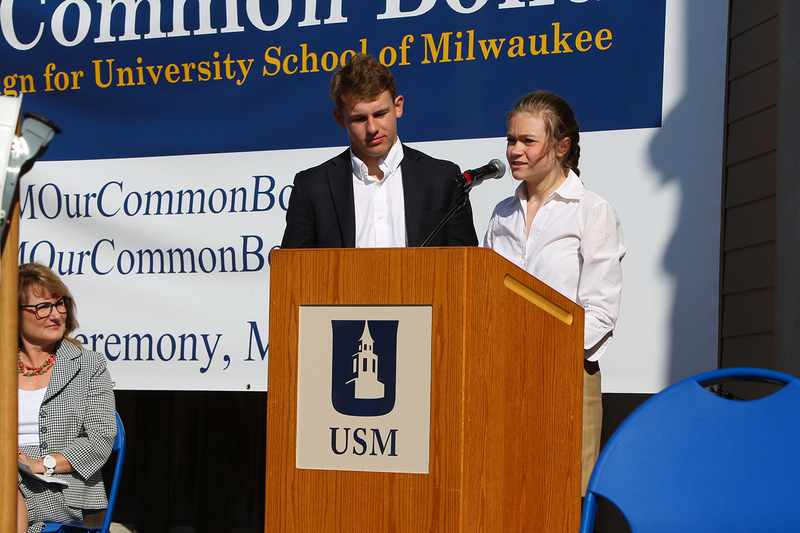 “Last month I had the privilege and pleasure of performing as Mary Poppins in the final production of my Middle School years, so I’ve experienced the incredible impact the arts at USM can have,” said Ellie Leverett ’21 in reference to the Performing Arts Center. 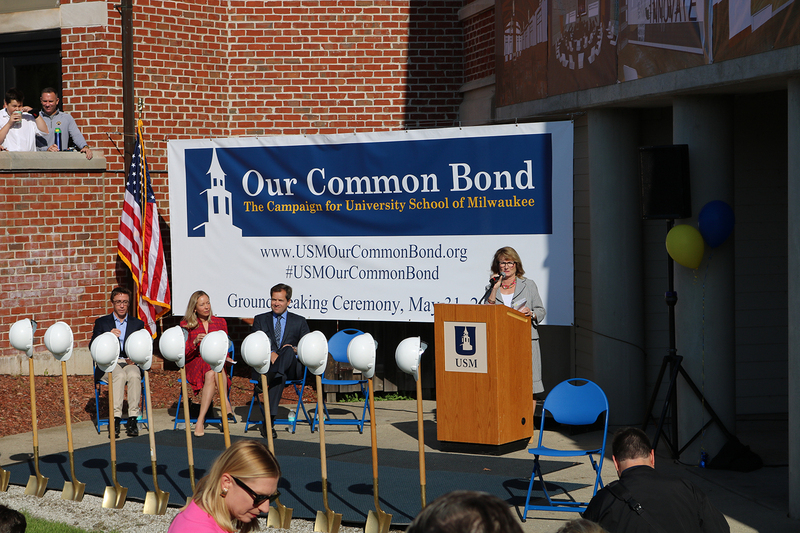 “As we all enjoy the theatre and arts space we have now, the new additions being put in place will not only benefit the students and parents at USM, but members of the greater Milwaukee community as well,” she continued. 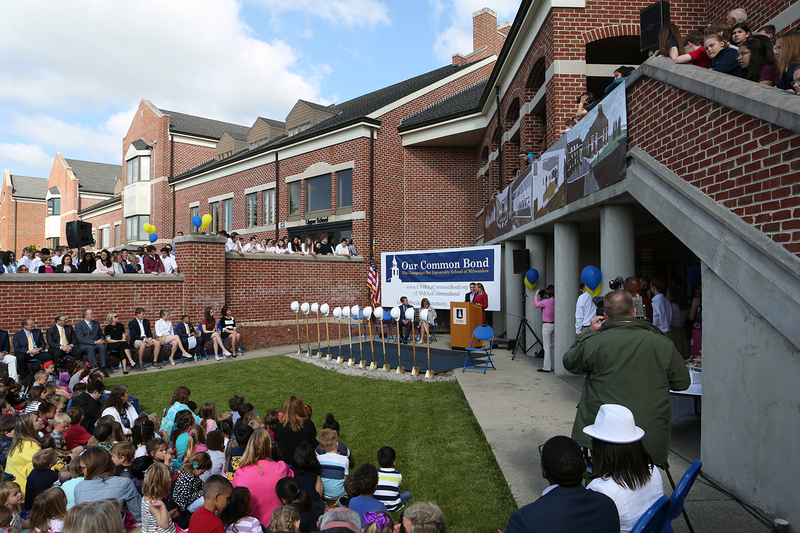 In addition to the new facilities introduced by the students, commitments through the Our Common Bond campaign also supported the Bruce ’81 and Jennifer Lee Community Room and the Darrow Family Welcome Center, which both opened this past fall. 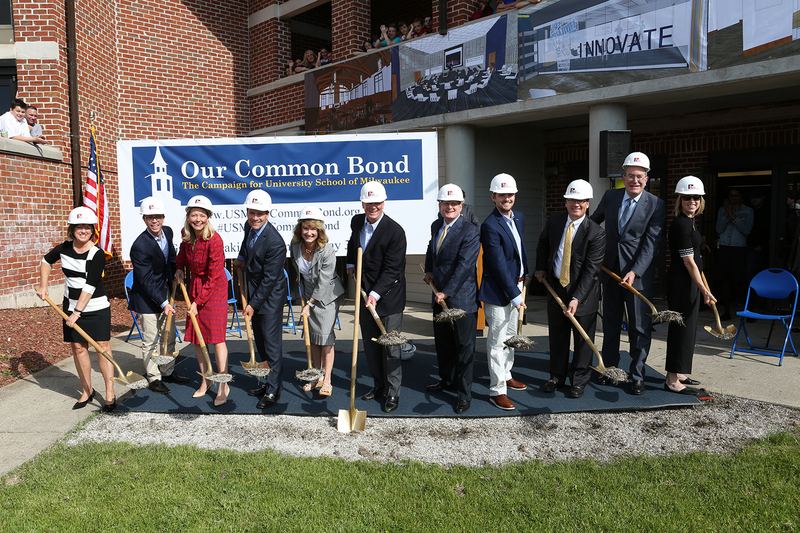 Through these new spaces, USM is investing more boldly in innovation, experiential learning, global education, the arts, and professional-preparedness training to better equip students for a rapidly changing world. 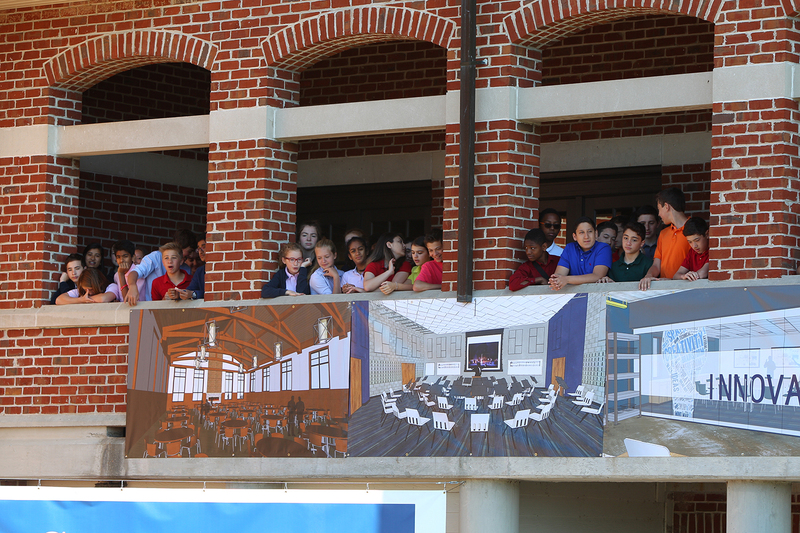 To view more of the capital improvements to campus, please click here. 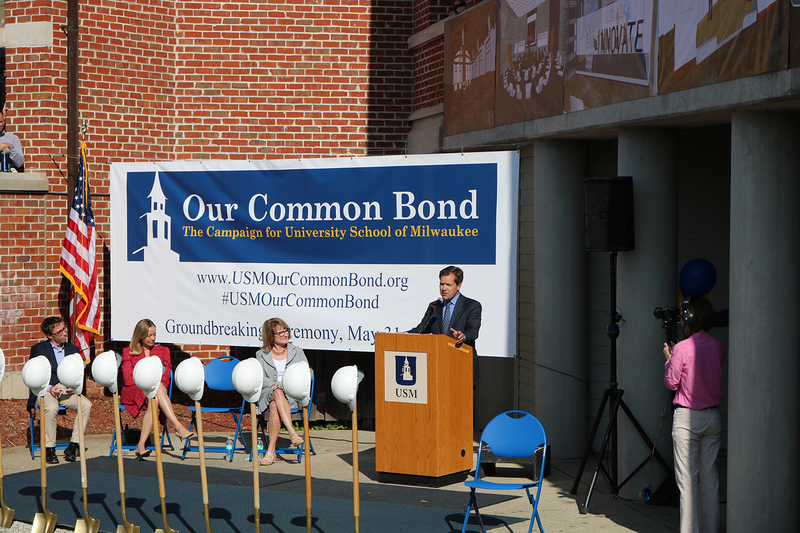 “Thanks to the history of a culture of generosity, we are in a very good place and can be aspirational in our goals,” said Andrew Petzold, the Board of Trustees President. 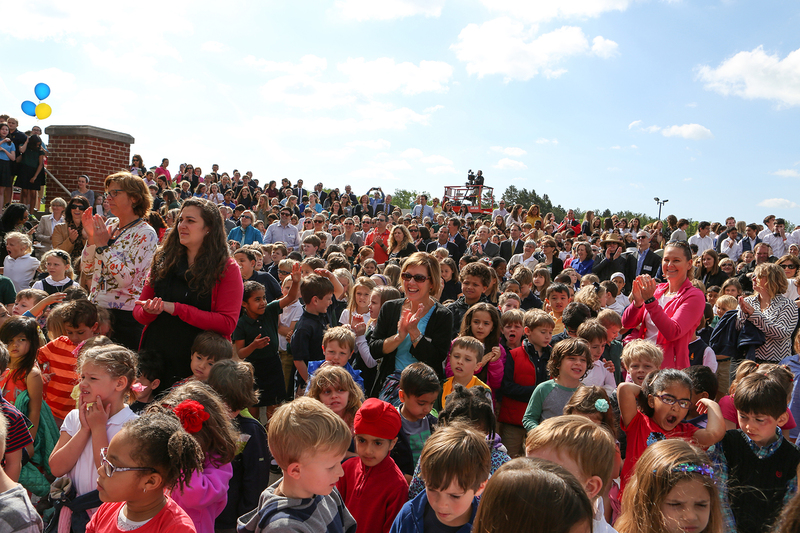 “It is the community of this place—the people and the connections they form together with our outstanding educational programming—that makes USM special,” he continued. 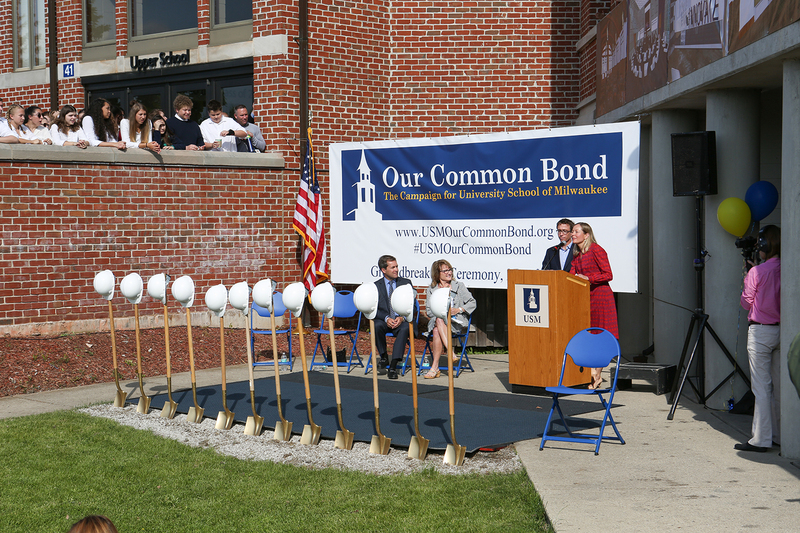 Please click below to watch various videos related to the Our Common Bond groundbreaking ceremony.